I have been finding myself rocking dressed up athleisure wear more and more this summer. 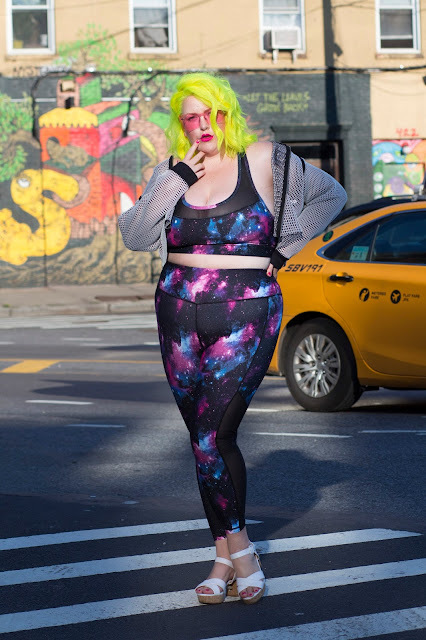 When I have to run around the city and look cute at the same time, what better way to stay comfortable by mixing your looks with sporty statement pieces. 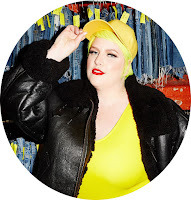 One of my favorite brands killing the athleisure game is Torrid. I wore their matching neon orange and black spandex shorts and sports bra top for my Galore Magazine Coachella party and loved the bold designs and support it gave me. Try rocking a bold two piece active set like mine with a sheer jacket and platform sandals for an all day cut look.